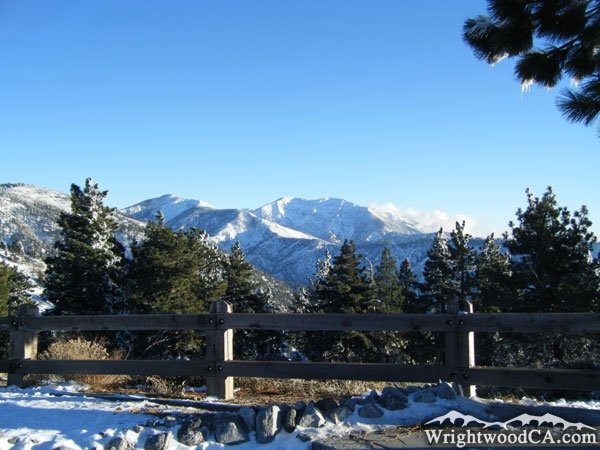 Mount San Antonio, also known as Mt Baldy, is the centerpiece of the San Gabriel Mountains with an elevation of 10,064 feet. 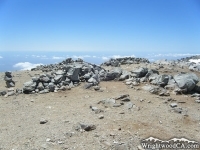 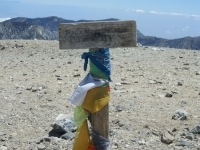 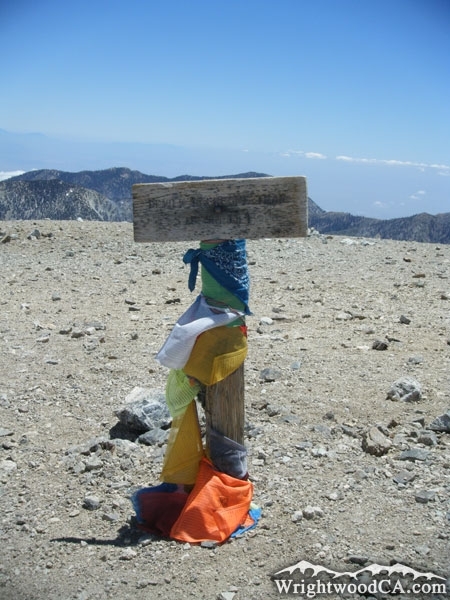 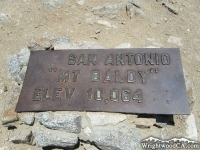 It is the highest peak in Los Angeles County and the third highest peak in Southern California. 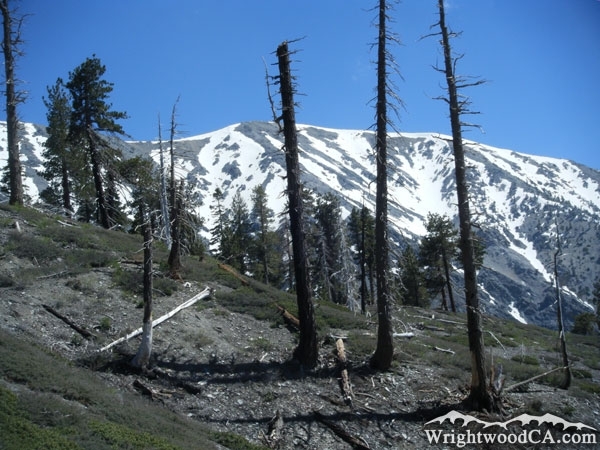 Due to its high elevation, most trees can't grow near the peak of the mountain, which is how the mountain received the name "Baldy." 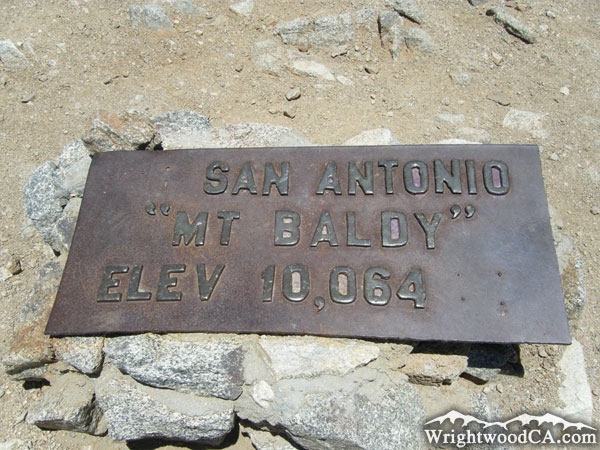 West Baldy is the peak just south-west of San Antonio, at an elevation of 9,988 feet, is technically the second highest peak in the San Gabriel Mountains, but it is still part of Mount San Antonio. 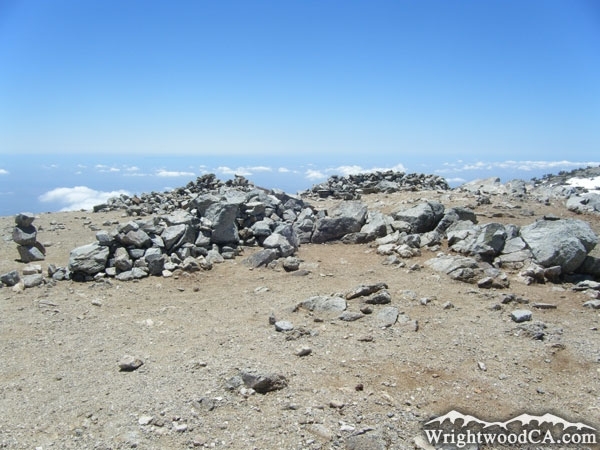 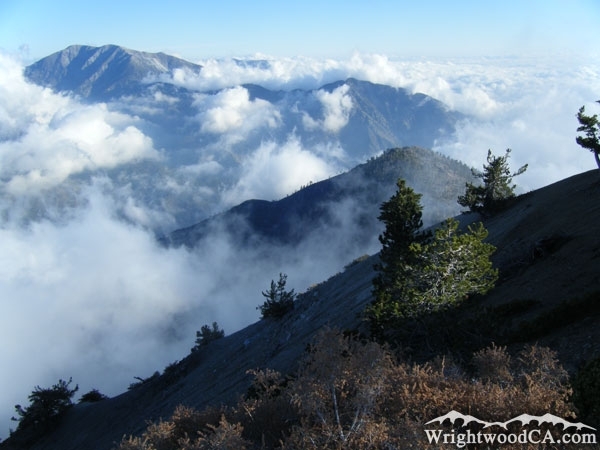 On a clear day, from the peak of Mt Baldy, you can see the Sierra Nevada Mountains in the distance to the north, San Gorgonio and San Jacinto peaks to the east, and even the Pacific Ocean and Catalina Island to the south-west. 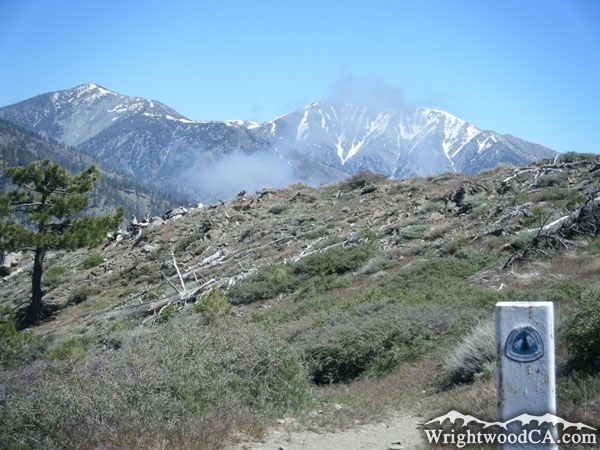 There are a couple of different hiking trails leading up to the peak from the Baldy Village side of the mountain. 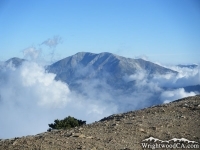 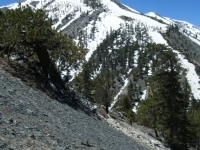 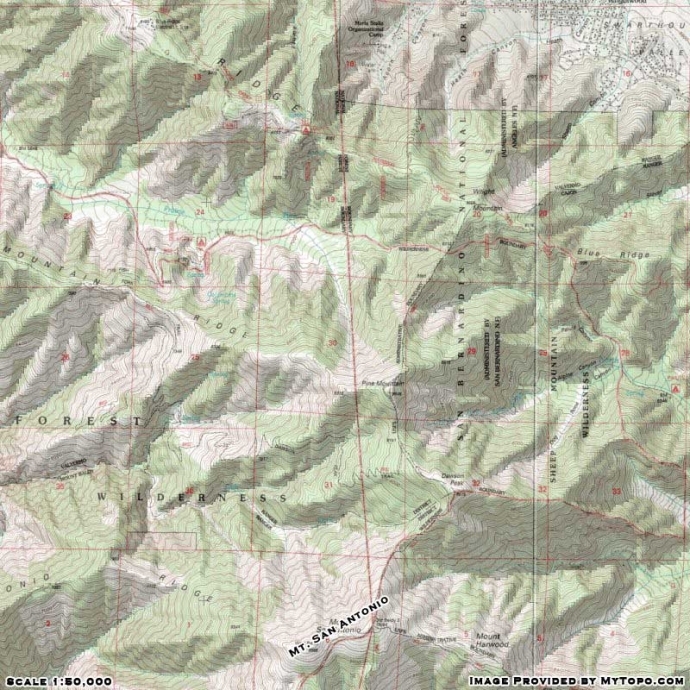 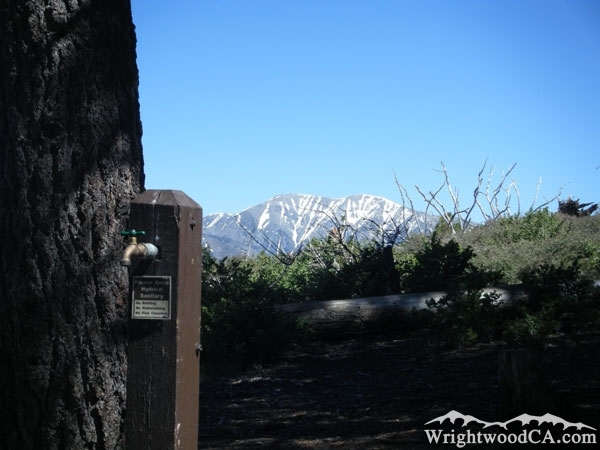 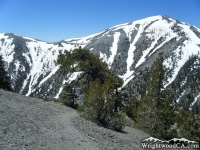 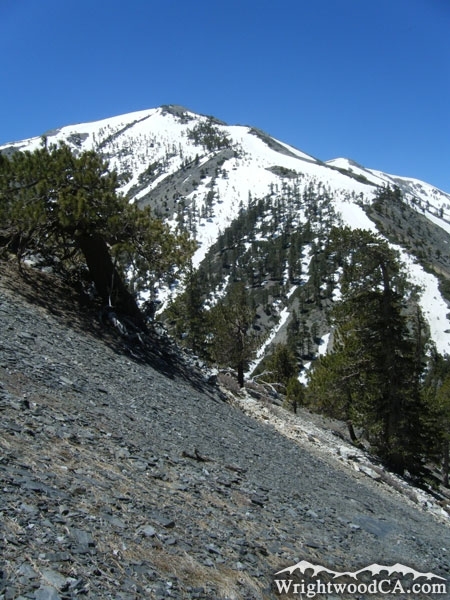 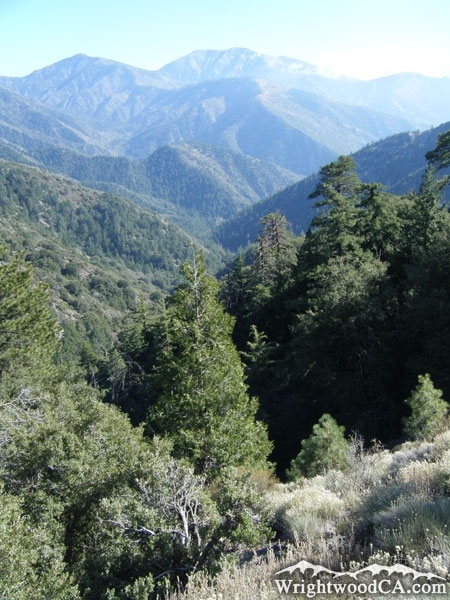 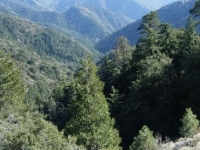 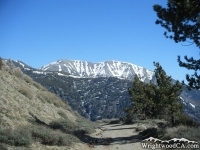 There is only one trail, the North Backbone Trail, that connects Mt Baldy with the Wrightwood area. 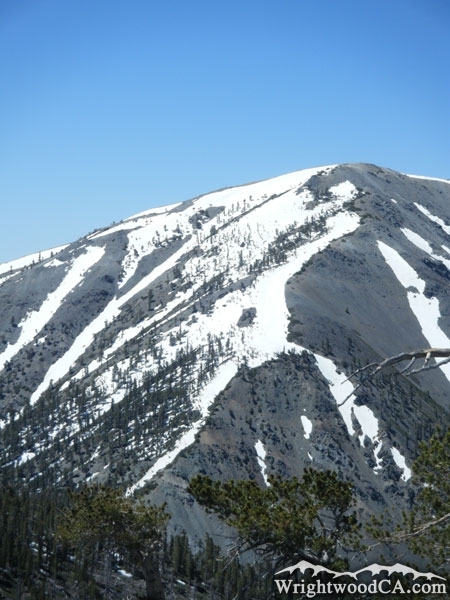 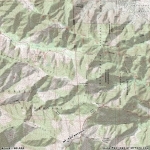 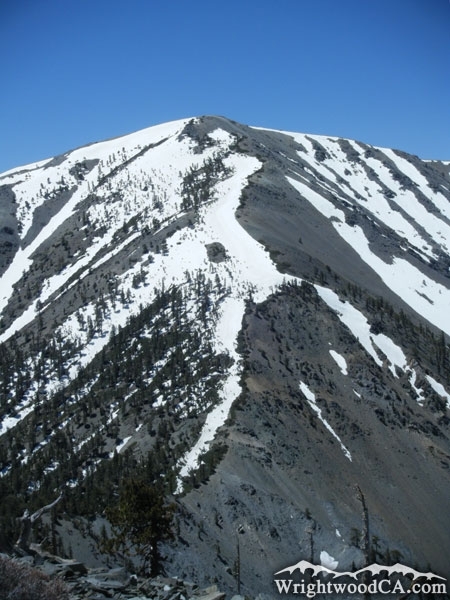 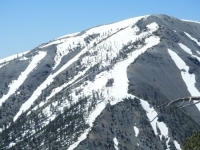 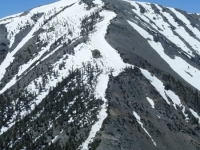 Mt Baldy shares a ridge line with Dawson Peak, Pine Mountain, and Wright Mountain to the north. 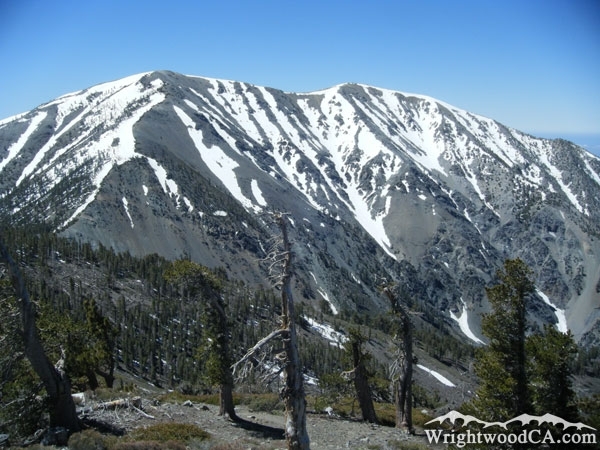 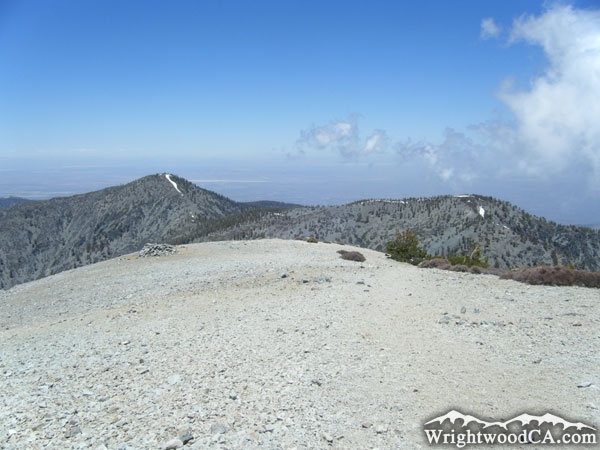 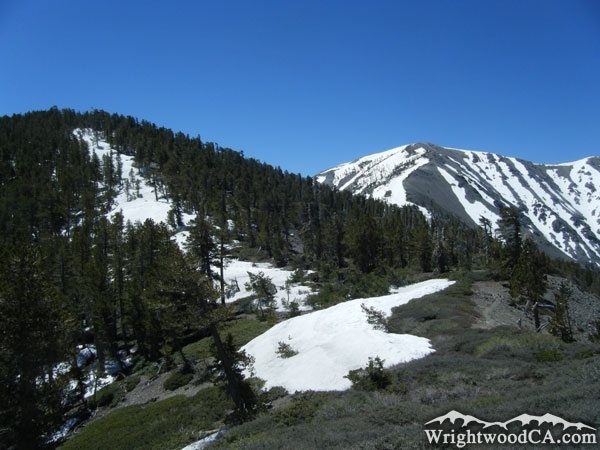 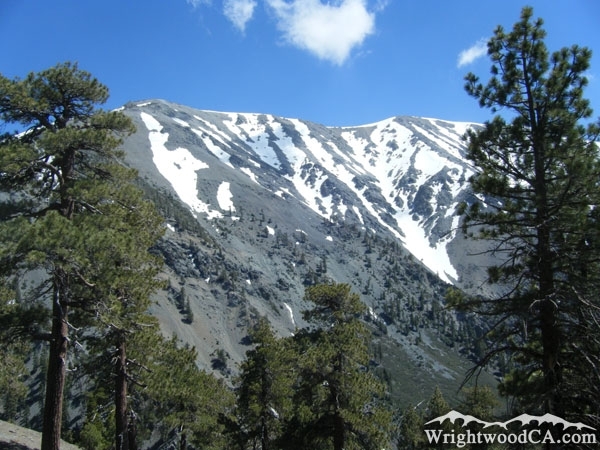 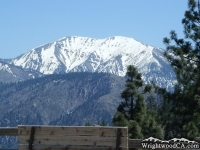 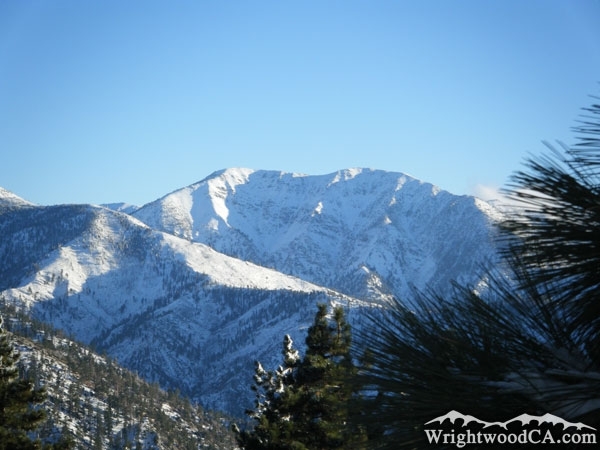 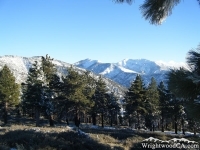 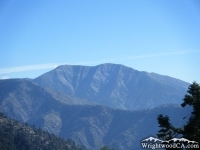 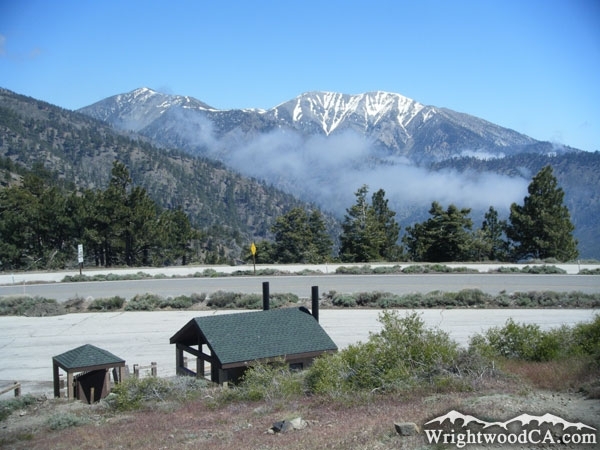 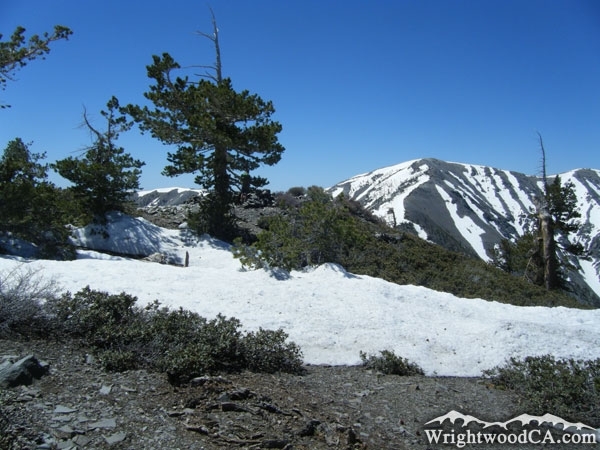 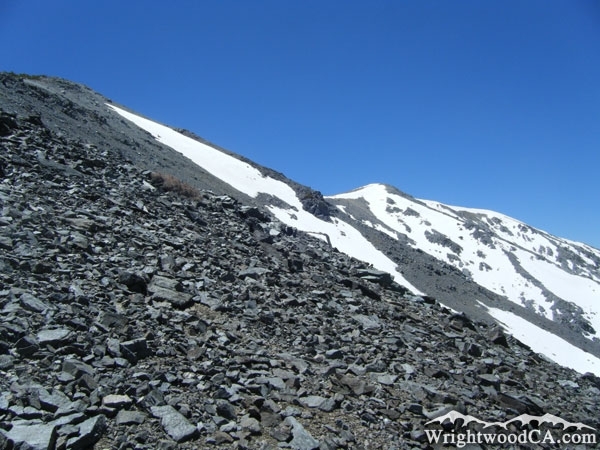 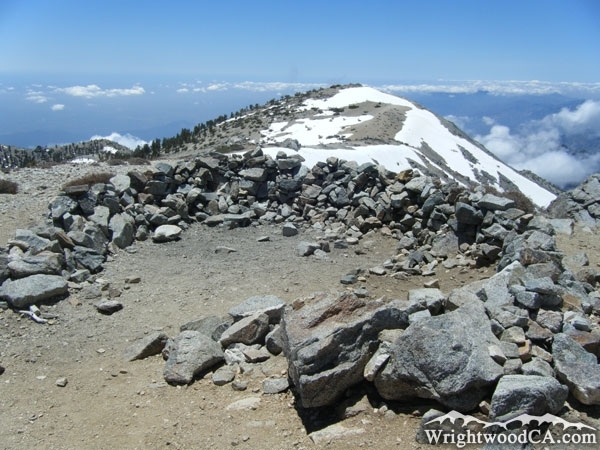 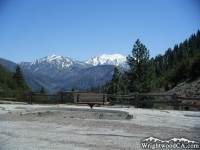 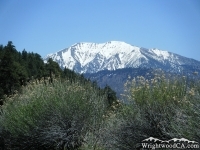 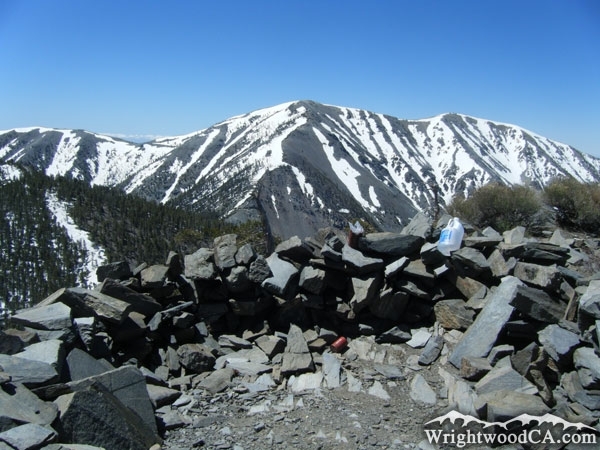 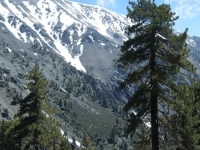 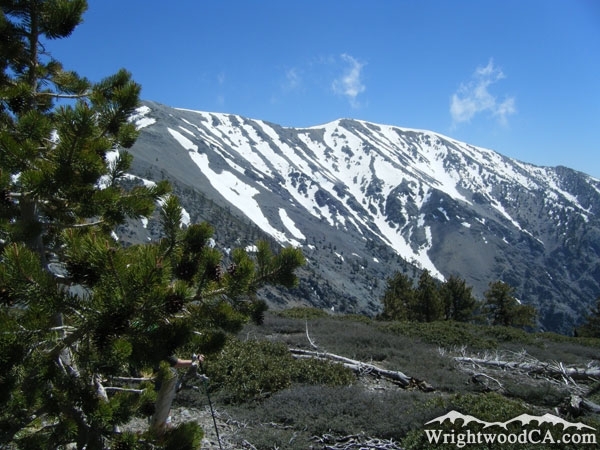 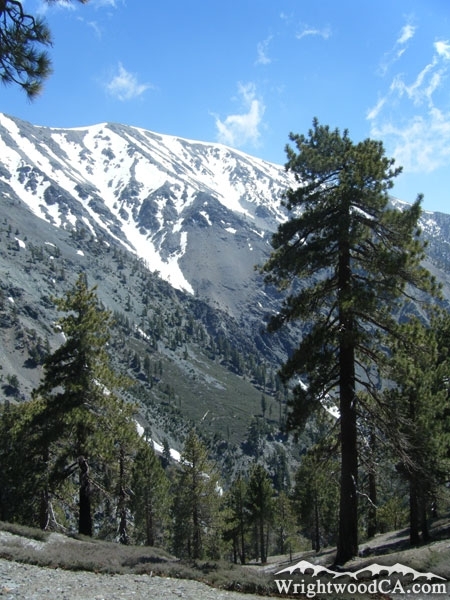 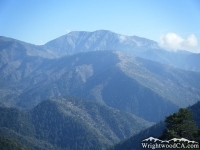 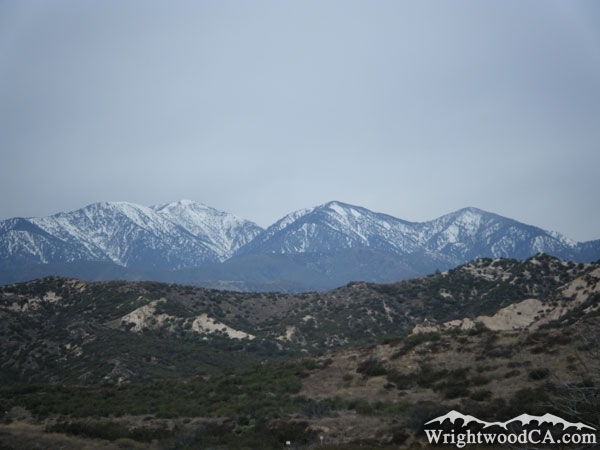 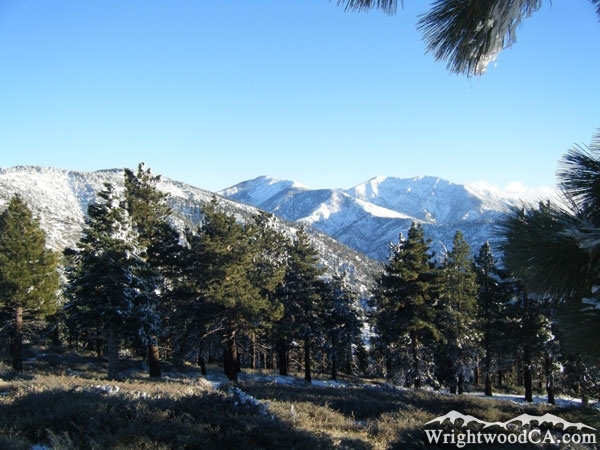 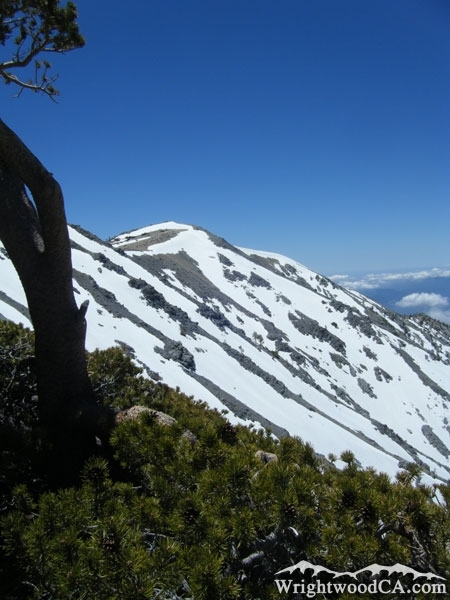 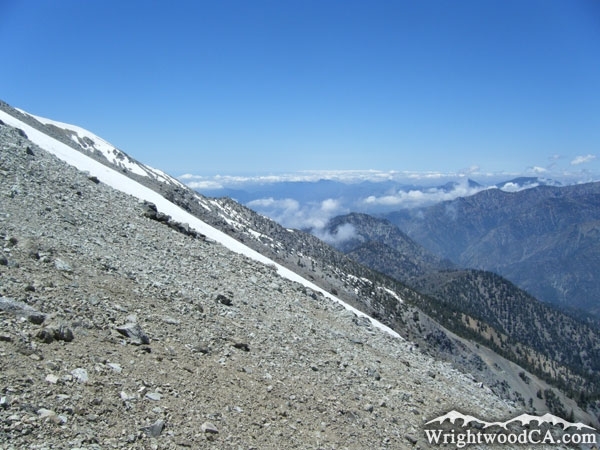 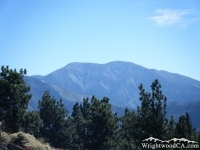 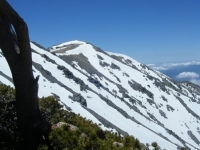 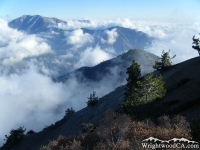 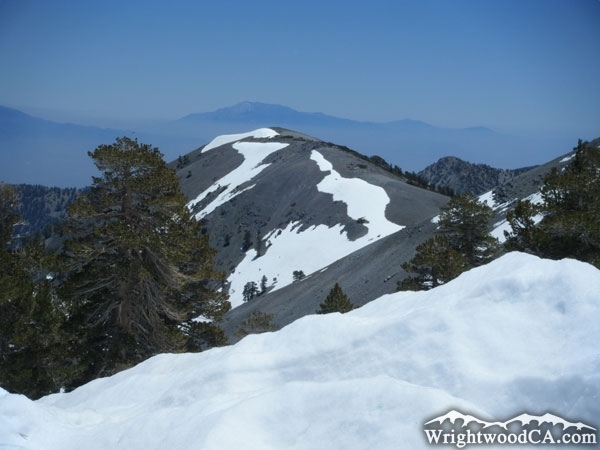 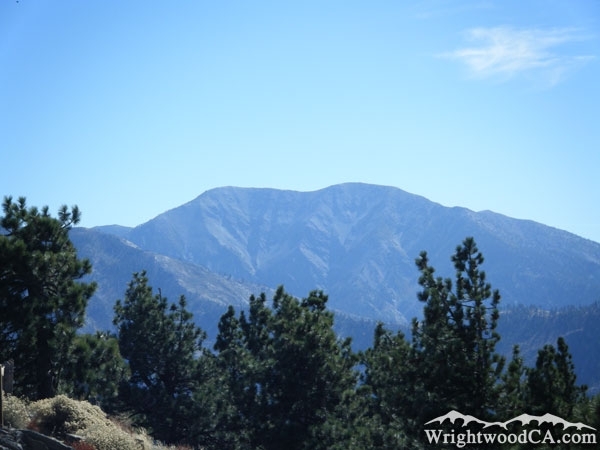 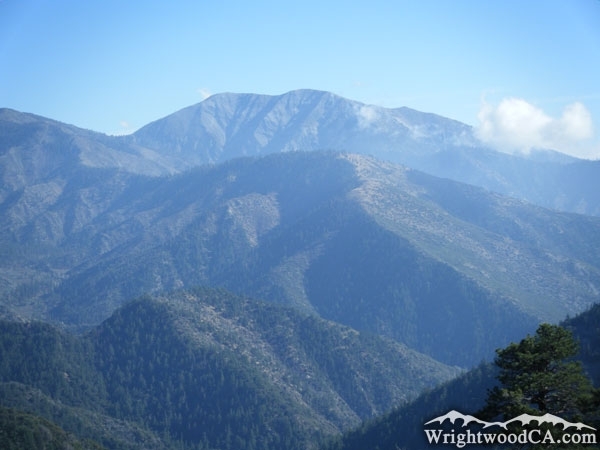 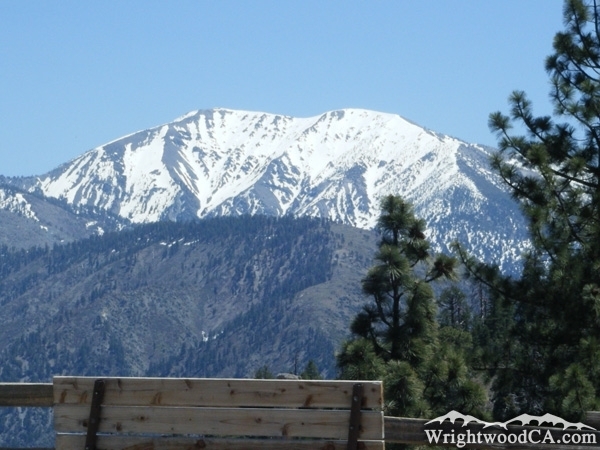 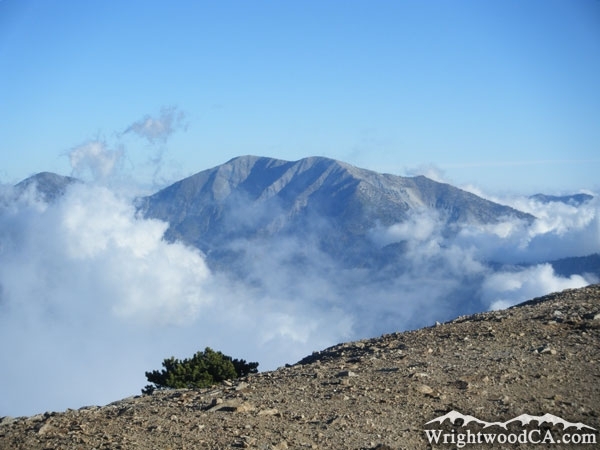 For the best views of Mt Baldy, take Highway 2 westbound from Wrightwood up to Inspiration Point. 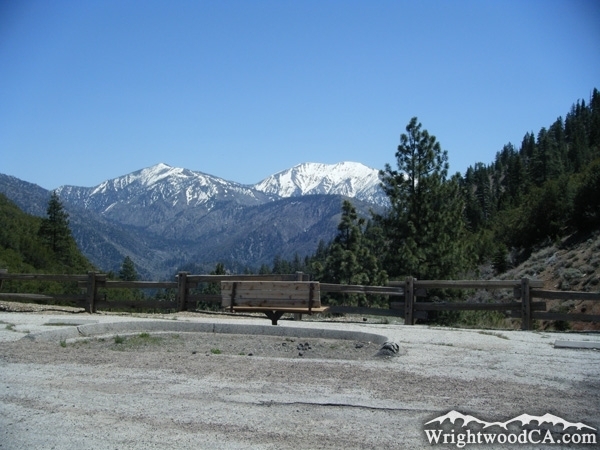 This is a great view point. 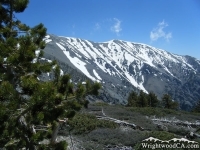 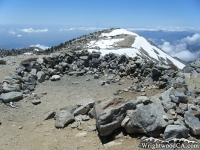 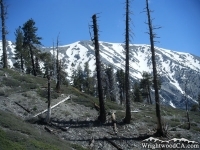 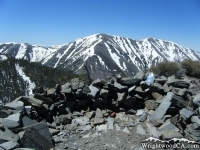 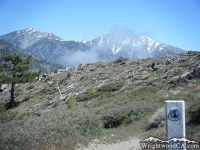 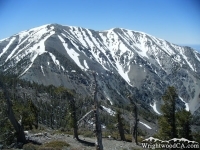 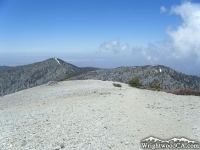 If you want to get up close and personal with Mt Baldy, take the Blue Ridge road eastbound from Inspiration Point to the backside of Wright Mountain where you can find the trail head to the North Backbone Trail, which connects Wright Mountain to Pine Mountain, Dawson Peak, and eventually Mt Baldy (San Antonio).